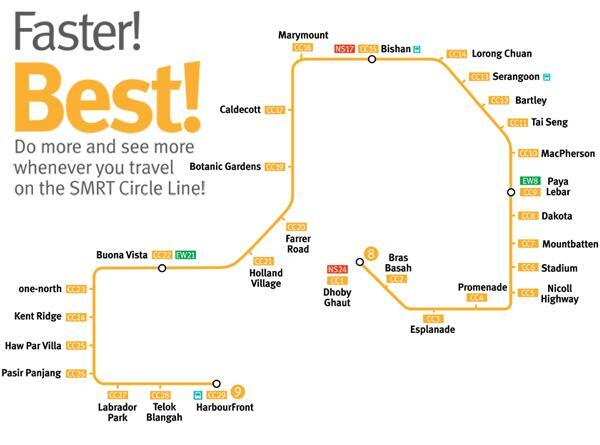 Do More, See More, Whenever You Travel With SMRT Circle Line! 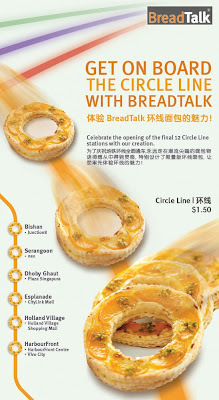 BreadTalk® celebrates the opening of the final 12 Circle Line stations with a commemorative inspired bun, the Circle Line. I’m most delighted to be part of this exciting event, tasting this limited edition creation. 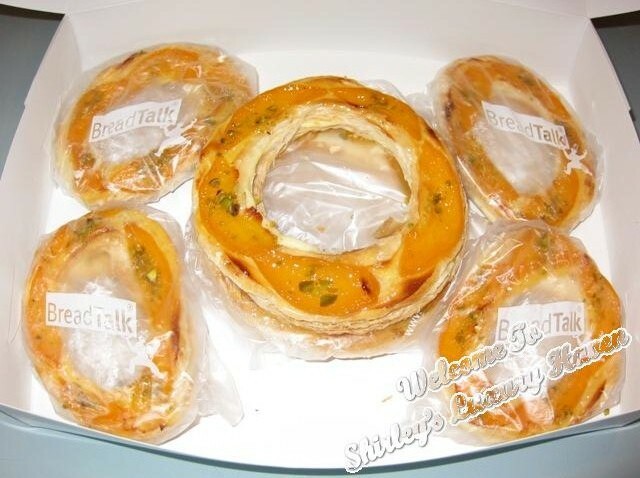 BreadTalk®’s Circle Line buns are tasty Danish rings with succulent peaches & crunchy pistachios on smooth lemon cream custard. Priced at S$1.50, they’re available for a limited period at all BreadTalk outlets from now till 16 Oct 2011 at outlets islandwide. 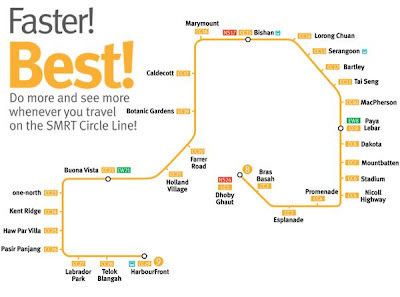 So remember to pick up the pastry on your way home! 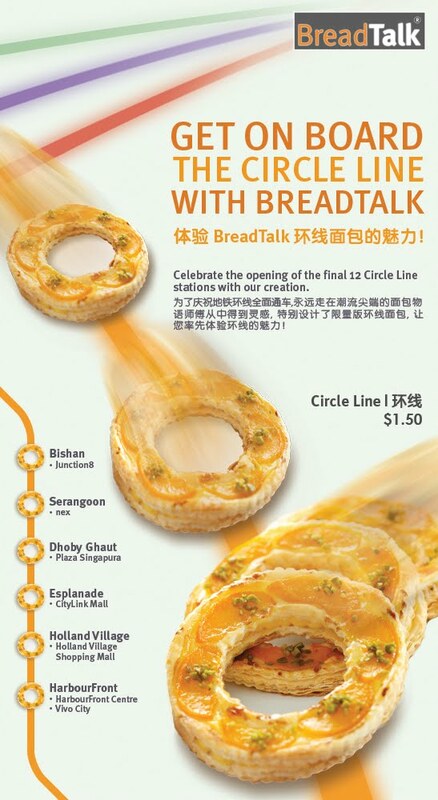 For tourists visiting S’pore, be sure to experience the Circle Line & drop by BreadTalk, featuring "see-through" kitchens. Outlets are often located next to or within the retail outlet, separated from the main retail space by transparent glass panes, allowing the public to view the kitchens. Don't forget to experience the BREAD THAT TALKS! Will buy those Danish rings tomorrow. 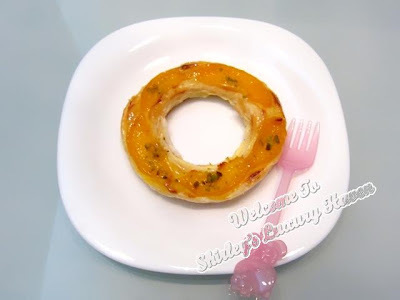 Looks tempting and tasty, will try out if I come down to Singapore Shirley, thanks for sharing. KF, hahaha! Agree, just like KFC. But I don't wanna dirty my hands. Lol! And I am a noobie at liner pens, I am shocked I was able to pull this off in one go! Beginners luck I guess haha... And do check out B.E.G. they're an amazing group, their songs are really catchy and these girls are not your usual bubbly pop group :) I think you'll enjoy their music. Wi, they were celebrating with a big bang here! Too bad u're not here to join the fun. U did good with those liners. It gives those Cleopatra look :) Gonna chk with my family if they've heard of BEG. Kelvin, that's why they're still growing. Lol! Your blog really IS a Luxury Haven -- you pamper me inside and out! Kim, it's always a joy to read your comments; makes my day. Thks so much for leaving me your kind words!